The Product Innovations (PI) Project Specialist will work closely with Product Innovations leadership on managing and executing two high priority projects, focused on trialing new products for farmers. This trial execution management will cover all phases of research and implementation, including design, planning, execution and analysis. In the first season, this will involve execution management of delivering agroforestry seeds to 15,000+ farmers and ensuring their survival in farmers’ fields. The PI Project Specialist will also manage all trials of new products offered to farmers on loan, including the design of marketing talking points for Field Officers to farmers. These project trials, such as delivering trees, aim to identify and then assess the most significant risks to success when offered to all One Acre Fund Tanzania farmers (40,000+). 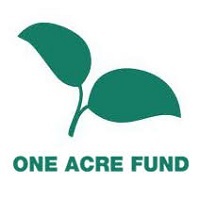 The trials involve measuring farmer impact, farmer adoption/adherence, and logistics challenges of a product when offered as a choice for purchase in a One Acre Fund loan. The position requires at least 20% time observing and supervising field activities/farmers with the remaining time spent planning, calendaring, coordinating with other departments, creating materials, analyzing results, and preparing reports or recommendations. This role will require the ability to manage many priorities at once and rapid progress on deliverables to meet deadlines. This position will also be responsible for the professional development of staff in a growing team. Lead Project Execution on 1-2 High Complexity Products: Simultaneously manage the execution of 1 to 2 high priority and high complexity projects. Navigate challenges for moving products from early phases of research into field trials, including recommendations on procurement options, package iterations, and trainings to address major behavior change.